The National Merchandise team were the official merchandise seller for the British Indoor Championships, which took place at Arena Birmingham on the weekend of February 17-18, 2018. The event attracted thousands of fans who watched athletes compete to be crowned British champion, and battle for a place on the British team for the World Indoor Championships being held from 1-4 March 2018! 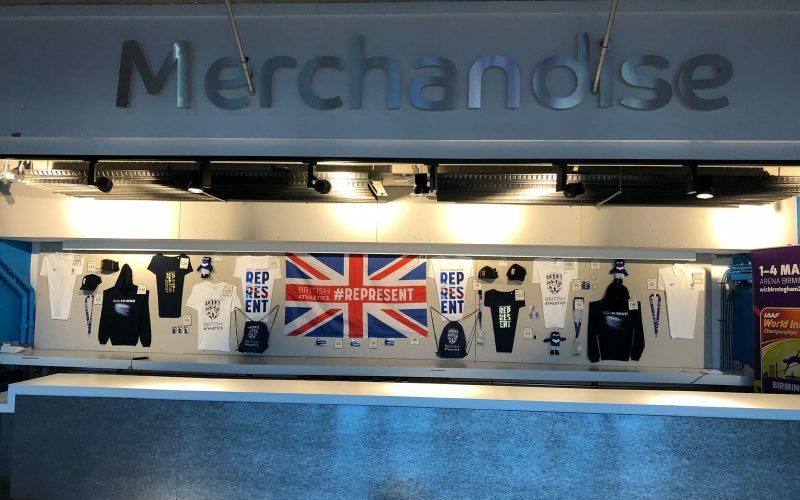 Our team sold a wide range of merchandise including flags, t-shirts, plushies and hoodies and will be returning for the next events later this year!